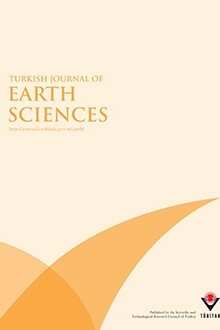 The Turkish Journal of Earth Sciences is published electronically 6 times a year by the Scientific and Technological Research Council of Turkey (TÜBİTAK). It is an international English-language journal for the publication of significant original recent research in a wide spectrum of topics in the earth sciences, such as geology, structural geology, tectonics, sedimentology, geochemistry, geochronology, palaeontology, igneous and metamorphic petrology, mineralogy, biostratigraphy, geophysics, geomorphology, palaeoecology and oceanography, and mineral-deposits. The journal publishes the highest quality papers and comprehensive review papers on hot topics of current interest, with high quality illustrations. Submitted papers should have regional implications and attract international interest as the journal aims to provide a medium for interdisciplinary papers that would be of interest to many different specialists. Specialized papers can be submitted if they illustrate significant progress in that specific area of the earth sciences. In addition to original and review articles, we are also interested in publishing discussions of papers that have already appeared in recent issues of the journal. The journal also publishes thematic sets of papers on topical aspects of geology or special issues of selected papers from conferences. Short articles (6 printed pages maximum) for rapid publication reporting a significant advance in the earth sciences with regional impact are welcome. Contribution is open to researchers of all nationalities.